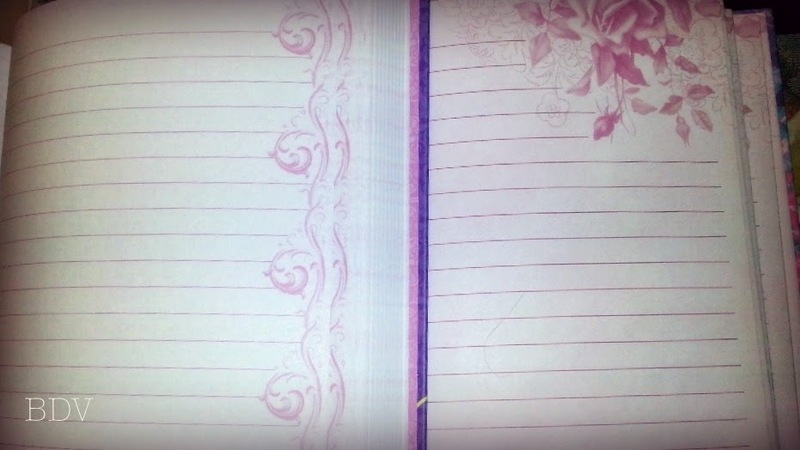 I've been journaling (or better known as keeping a diary) for over 10 years now. I started at first when I was in middle school, but stopped when I couldn't find my diary one day. I thought that it got lost in my messy adolescent room, which didn't seem to worrisome to me at the time. Several months later however, I flipped over my sister's mattress to help her make her bed, and randomly found it there. The little sneak had hidden it from me and had quite obviously read it. Being inspired to write isn't always something that comes naturally in some cases. Blogging, for example, isn't as satiating as writing on naked paper. There is something about beautiful paper inside of a hard-cover book with beautiful etching and coloring. As I've been journaling for so long, I've filled up nearly 20 books, each one uniquely beautiful in its own way. Isn't this divine? The design of this intricate journal is simply beautiful, not to mention that each one of their gorgeous journals has some sort of Biblical scripture or quote on it, which for me is a reminder to find His goodness. 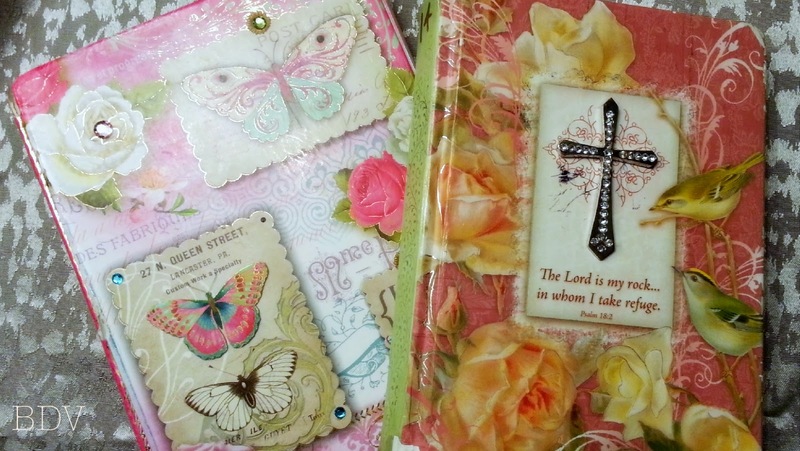 Even if you aren't a spiritual person, these journals are simply so breathtakingly stunning that you can still appreciate them. 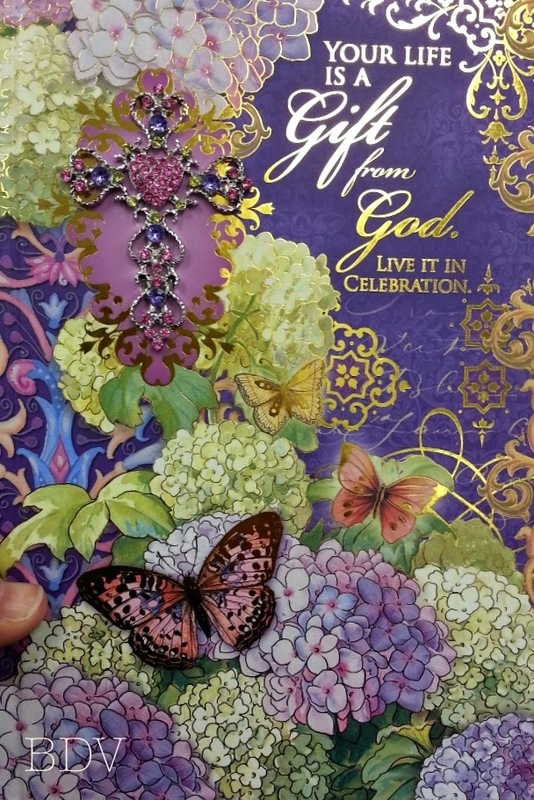 They also have studded ornate crosses on the covers, which only adds to their beauty. 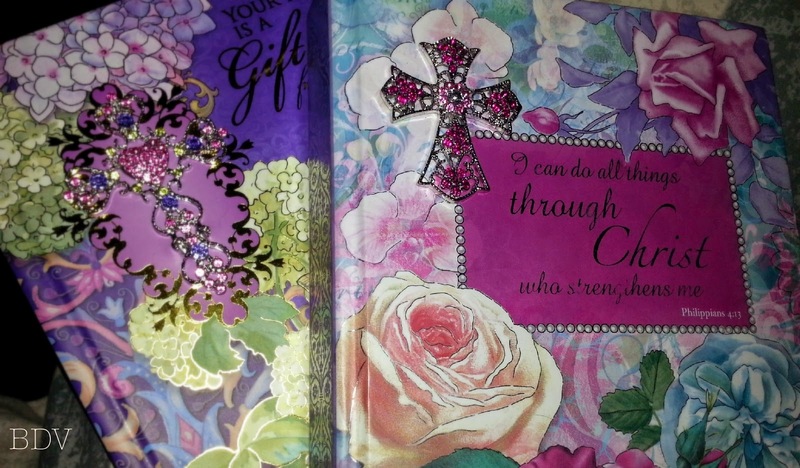 The picture just above shows my current journal on the right, with Philippians 4:13 on the cover, and its replacement on the left. 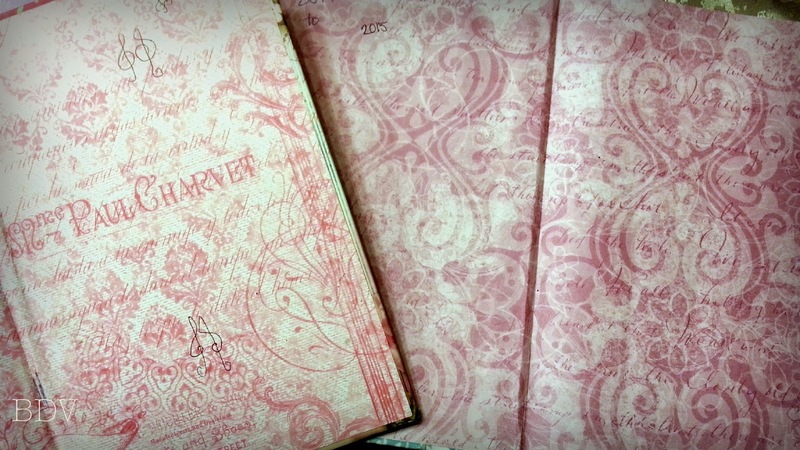 From years past - other beautiful journals that have made their ways to my shelf. I write a number on the spine to ensure to keep them in the correct sequence. Inside, with white paper and borders of a monochromatic design that is both enchanting and lovely. Doesn't this make you want to go to the park and find an empty bench and write your thoughts onto this lovely paper? I know that this is one the first thoughts that comes to mind when I run my fingers over the naked pages. Even the inside cover has a beautiful monochromatic design. On the left, French scripts overlaying lacy floral designs (and my own handwritten treble clefs from a day where I felt the need to doodle). On the right is an almost-mosaic design that also reminds me of a lovely kaleidoscope image. Do you write in a journal? If so, what do you write about? I write about my plans and dreams, goals, and about my day-to-day life. Nothing too secretive or exciting, but I love keeping my thoughts together in a beautiful place. I'll see you next time, my loves!